• At : "The Apothecary’s Apprentice" by Craig Lincoln. "In the back of the shop I scrubbed three large cauldrons clean, stripping the seasoning from them because Master Aloz insisted on it once the trade caravans stopped coming at the end of summer. Tallow, he called me, on account of my paleness"
• At Nightmare Magazine: "A Short Guide to the City " by Peter Straub. Horror. "The viaduct killer, named for the location where his victims’ bodies have been discovered, is still at large. There have been six victims to date, found by children, people exercising their dogs, lovers, or—in one instance—by policemen. The bodies lay sprawled, their throats slashed, partially sheltered by one or another of the massive concrete supports at the top of the slope beneath the great bridge." At Daily Science Fiction: "Artist's Retrospective" by David D. Levine. Science Fiction. At 365 Tomorrows: "The Price Of Arrogance" by Clint Wilson. Science Fiction. At Yesteryear Fiction: "Vertigo with a Touch of Syncope" by Donal Mahoney. Fantasy. 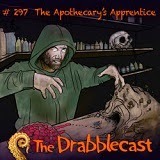 • At Drabblecast: "The Apothecary’s Apprentice" by Craig Lincol, read by Dave Thompsoni. Fantasy. "In the back of the shop I scrubbed three large cauldrons clean, stripping the seasoning from them because Master Aloz insisted on it once the trade caravans stopped coming at the end of summer. Tallow, he called me, on account of my paleness" and drabble "The Necromancer's Apprentice" by Arun Jiwa. • At Nightmare Magazine: "A Short Guide to the City " by Peter Straub, read by Stefan Rudnicki. Horror. 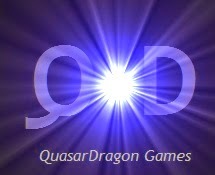 • At StarShipSofa: "Episode #306" Science Fiction. “Automatic Diamante” by Philip Suggars and “iRobot” by Guy Haley. Read by Nick Camm. • Flash Fiction at Every Day Fiction: "The Alligator Purse" by Whitney B. Setser.